WKYI-TV 24.2 brings you the best of award winning Hollywood movies, syndicated shows, and local programs! WKYI-TV 24.2 partners with the AMGTV Network and offers a little bit of everything, for everyone! Our programming includes Judge Faith, Forensic Files, Impractical Jokers, Black College Quiz, Sanctuary, Leverage, Cheaters, Pawn Stars, and more! Our regional shows include the the Indiana based Pet Pals TV and Great Day LIVE! We bring you business with Inside Indiana Business and First Business! And we support our vets with Hiring America! Our local shows on WKYI-TV 24.2 include Just Ask Joyce, The Lawyers, Kentuckiana Motorsports, Now That's Country, and Our Kids JCPS. We have seasonal and quarterly specials including Gospel Music Presents, African American Short Films, Worlds Funniest Moments, Stellar Awards, and the Christmas show Songs of the Season. In 2019 expect even more from Your Locally Owned TV Station WKYI-TV! Kentuckiana Motorsports Presented by Lucas Oil is the longest running sports show on the air in the Louisville, Kentucky Television Market. Kentuckiana Motorsports is now in its 17th consecutive season with special shows, weekly racing reports, giveaways, trivia, and more! Check out the Kentuckiana Motorsports page! The Kentuckiana Broadcast Group brings you Just ask Joyce with Joyce Oglesby on WKYI-TV 24 Louisville and WMYO-TV/LAFF 24! In 2019 look for fun and special interviews as Joyce helps people in their everyday lives! She is a longtime radio talk show host as well as author, national speaker, and mentor to people across the country. Just Ask Joyce talks about the issues facing families from economic struggles, romantic harsdship, to challenges people experience every day. Joyce has interviewed some of the biggest names in faith based television and radio. Be sure to watch her uplifting show on the Kentuckiana Broadcast Group of stations! 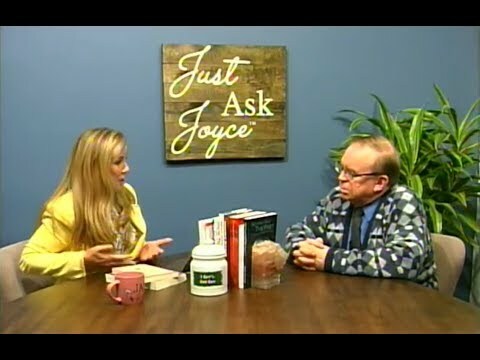 Click on the station page to find Just Ask Joyce and when her show airs as well as all other programs air! This spring get ready for action and excitement when Ringside Boxing takes center stage on WKYI-TV. It will be an event full of great boxing, interviews, and commentary. Stay tuned for more details!